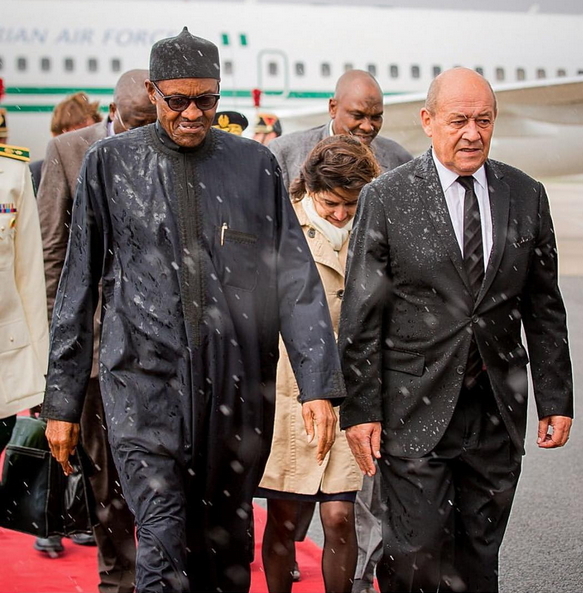 Photos: Buhari Arrives Paris France Soaking Wet In The Rain, Umbrella No Dey For France? 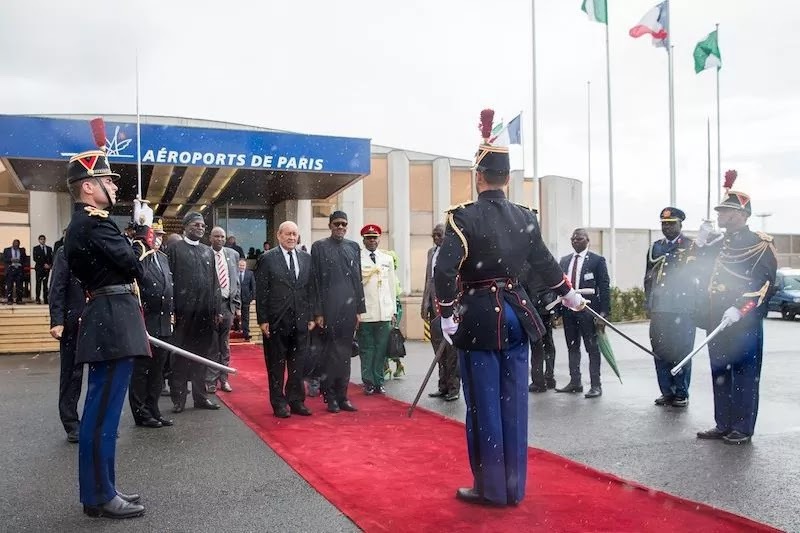 President Buhari arrived Orly Int’l airport in Paris yesterday during a heavy downpour unlike in Nigeria, the people who came to receive our Oga on top didn’t bring Umbrella ( na so the thing scarce for that place). Since they demselvs did not hav their own umbrellas, I think there’s no case here. I like the way you think Metu. Some people just have local wisdom. 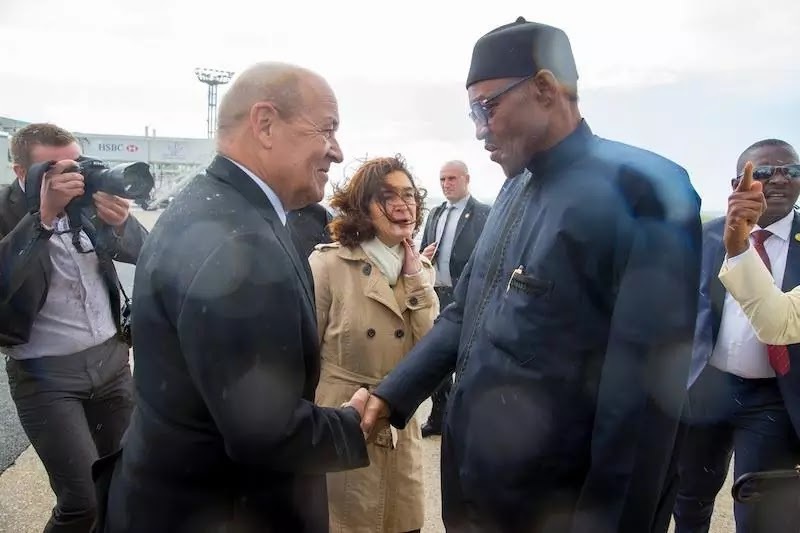 According to this picture, they are all inside the rain, the rain soak their President also and all his entourage is not like our people here where the follower always serve as a slave for the people they elected by themself,after they purnished they inside sun, rain and even some lost their life, porperty just to serve their beloved country. But once those heartless so called leader get there, they turn their back to the people that cast their vote for them and become some god, just like a pattern that turn wood to something by his hand and starting worship it with his people as their god. Who is serving who?, are they serving the country or the country is serving them? 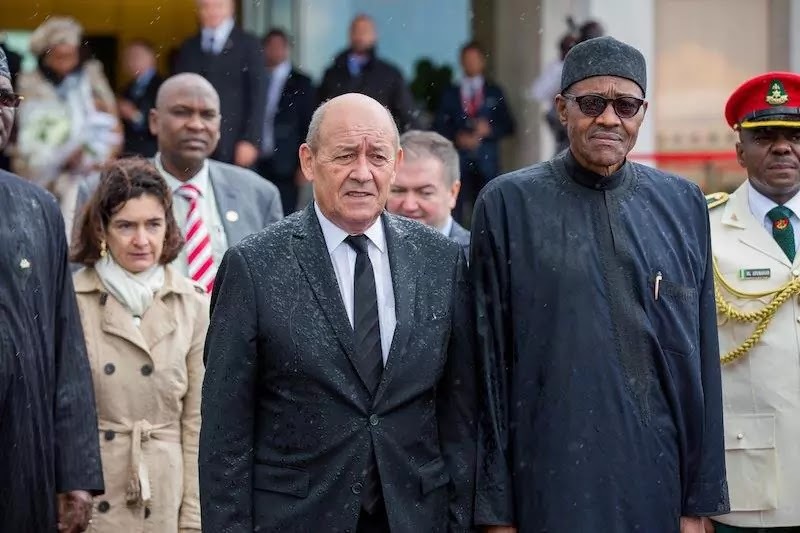 But this is not only our PMB inside the rain why you people don,t reason, all of them are wet case close. a country that practice iquality and justice. Nobody is above the law, if is Nigerian now every slave will want to cover him umbrella. 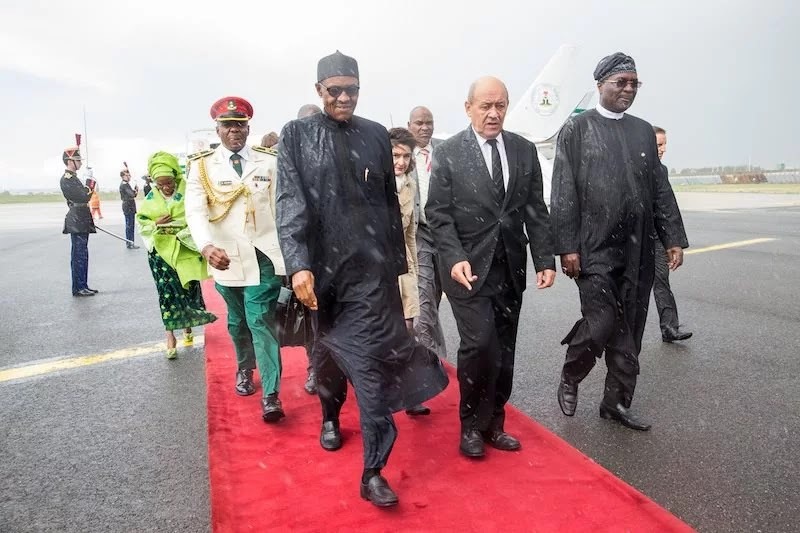 They are all in the rain, our Buhari, the French president and those mounting the guard of honors. Our people should think outside the box. If it were in Nigeria, scavengers will be struggling and fighting each other to cover him with umbrella while they themselves get wet. Slavish mentality. Here In nigeria,people turns to become slaves against self will as a result of portaty n inequality in d country. D umbrela belongs to d PDP, dats why APc amd dia president cant escape d rain. Y dem no cova him broom? Nigeria lyk eye service na! 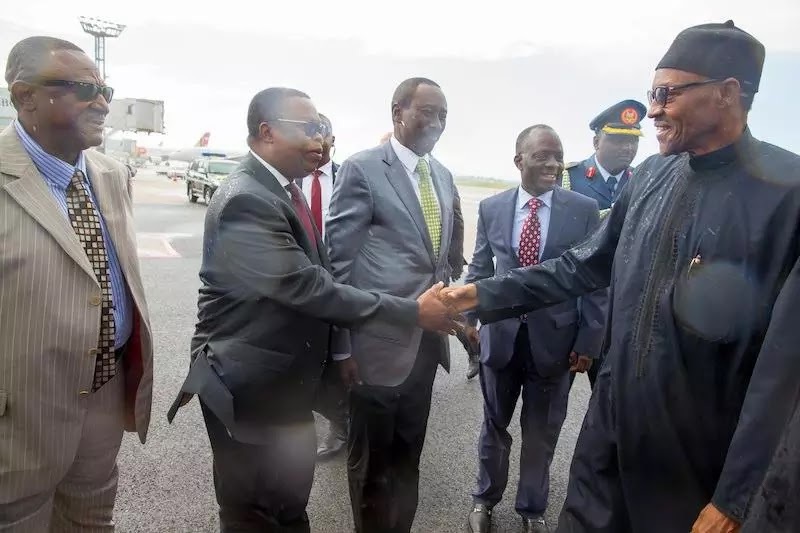 Rain beat buhari,is he not a human been huh?? Traveling everyday nawaoooooo!! 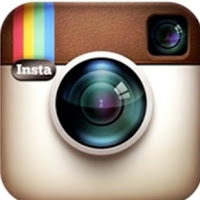 I no talk anything bf………..cut my………….